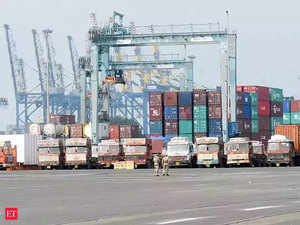 New Delhi, Apr 7 (PTI) India’s 12 major ports recorded 2.90 per cent growth in cargo handling at 699.04 million tonnes (MT) in the just concluded fiscal, as per ports body IPA. Washington Apr 7: Apparently under prodding from the White House, NASA has said it will continue to cooperate with the ISRO, days after the US space agency’s chief criticised India and termed its anti-satellite weapon test a “terrible thing” for creating about 400 pieces of orbital debris. Washington, Apr 7 (PTI) India charges America over 100 per cent tariffs on a large number of products while the US imposes nothing on the similar or same items, President Donald Trump has said, urging his administration to work on the “stupid trade”. Washington Apr 7: Poverty can leave a lasting imprint in our DNA, say scientists who have found that low socioeconomic status is linked to changes in over 1,500 genes. New Delhi Apr 7: Diversity in American television seems to be on the rise as actress Pallavi Sharda is the latest Bollywood actress to bag a show in the US. Hyderabad, Apr 7 (PTI) Traditionally a slow starter, Mumbai Indians skipper Rohit Sharma says he wants his team to win most of its initial matches this IPL season, as some of his players will leave for World Cup preparations at the back-end. New Delhi Apr 7 PTI: The Income Tax Department launched pre-dawn searches Sunday on at least 50 locations in Delhi and Madhya Pradesh against people linked to state chief minister Kamal Nath on charges of alleged tax evasion, officials said. New Delhi Apr 7 PTI: Commerce and Industry Minister Suresh Prabhu has underlined a need to develop a proper matrix to understand changes in the Indian economy and job creation that is happening at a rapid pace.